> The first question to this text is “what is a prophet?” The adults who think they know will benefit from listening in as you tell the children what a prophet is. For children a prophet is someone who speaks for God, someone who tells others God’s message. A prophet does not predict the future as much as tell the truth about the present from God’s point of view. The child who stands up to friends saying “that is not right,” “someone is going to get hurt,” or “we’ll get in trouble” is a prophet. So, it is possible to encourage children to both listen for prophets and to be prophets for God. > If you used a crèche figure to represent John the Baptist during Advent, display it again. Recall people asking John the Baptist if he was a prophet. Explain that what people wanted to know is whether John spoke for God. Note that when Jesus taught in the synagogue, everyone was very impressed, but wanted to know if Jesus spoke for God. Both John and Jesus did. > Have worshippers of all ages turn to the table of contents in their pew Bibles. Point out the prophetic books of the Old Testament. Explain that each has the name of the prophet who wrote it. For fun, try reading all the names together. Note that these are not the only books in the Bible about people who speak for God. Prophet’s stories are everywhere. The four gospels at the beginning of the New Testament are about Jesus, who spoke and lived God’s message. > After exploring what a prophet is and does, read Deuteronomy 18:18 and wonder aloud if God is raising up prophets among your group. > To explore how God speaks to us through the Bible, point to the interchange that follows the reading of the gospel in worship, “The Word of the Lord! Thanks be to God!” After this is said, pause and insist that “This is the Word of the Lord!” reminds us that what we read was not just something any person thought, but that it was something that came from God. Also insist that how we respond is important. We could just yawn or say “if you say so” or ignore it. Or, we can say “Thanks be to God!” – I hear what you read and know it comes from God and am paying attention. After this explanation, remind the worshipers of what you just read, then repeat the interchange. > This is one of the alphabet psalms, i.e. it is a collection of praises each beginning with sequential letters of the Hebrew alphabet. Because most of the praises here are composed of two lines related to two different letters, calling out the letters for each line makes for a disjointed reading. You can still honor the structure of the psalm by introducing it as a loose collection of praises and then having each praise read by a different reader – maybe members of an older children’s class. All: His praise endures forever. NOTE: There are a lot of male pronouns in all the standard translations of this psalm. Psalms Anew, by Nancy Schreck and Marureen Leach, is a great source of psalms that have been paraphrased into English that is both simple and inclusive. 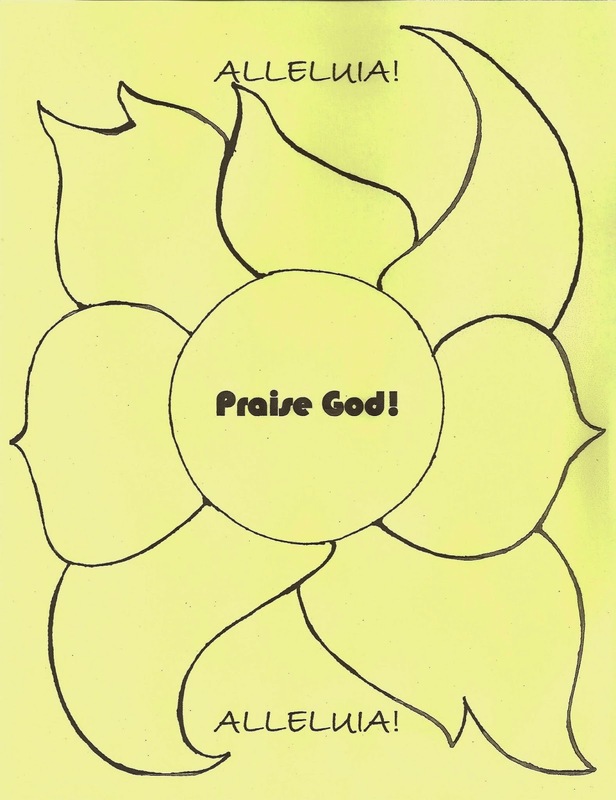 > Invite children to create their own praise of God by filling in the Praise Sheet with either words about or pictures of their reasons for praising God. I would fill one section of mine with snowflakes because it so amazing that God makes no two snowflakes alike and who knows what or who else. > Feature praise hymns that are like this psalm in praising God for a variety of things. “For the Beauty of the Earth” names many reasons for praising God in simple, concrete vocabulary. Even non-readers can join on the chorus “Lord of all to Thee we raise This our hymn of grateful praise” if it is pointed out and even practiced before the hymn is sung. “All Creatures of Our God and King” names who should praise rather than why they should praise. Still it is filled with lots of Alleluias for younger children to sing along on and for everyone to savor before Alleluias are banned for Lent. - sitting at a children’s table when you could act right sitting at the grown table, and so forth. > Before singing “Brother, Sister, Let Me Serve You” name some of the brothers and sisters we will sing about. Children appreciate starting with their very own brothers and sister then naming others in their congregation and even the larger church who are their brothers and sisters in Christ’s big family. Having just named their specific brothers and sisters makes singing the song more powerful. > On the simplest level this passage introduces what Jesus is going to do. He is going to teach and heal. You might point out to children some of the things Jesus taught (golden rule) and some of the people he healed (the blind, the lepers, etc.) and encourage children to watch for things Jesus did and people he healed as you continue reading Mark this year. > If this passage leads you to speak of Jesus’ power and authority, remember that while the word authority may be beyond them, children are intensely interested in power. They want to know who has it and how they use it. Mark insists that Jesus has great power. He has powerful understanding of what God means for people to be and he can share that understanding in ways that make people want to be more like God wants them to be. That’s powerful! Jesus also has the power to heal people from diseases and he uses that power to help people. > Connect these stories to “thine is the kingdom and the power and the glory forever” in the Lord’s Prayer. Have the congregation repeat the prayer together, stopping them on the last line, repeating it, and commenting that Jesus had God’s power and authority. He spoke for God and showed us how God meant for us to live. No one or no thing (like the demons) are a match for Jesus. Then, invite worshipers to pray the whole prayer paying special attention to this line. There are two ways to explain demon possession. 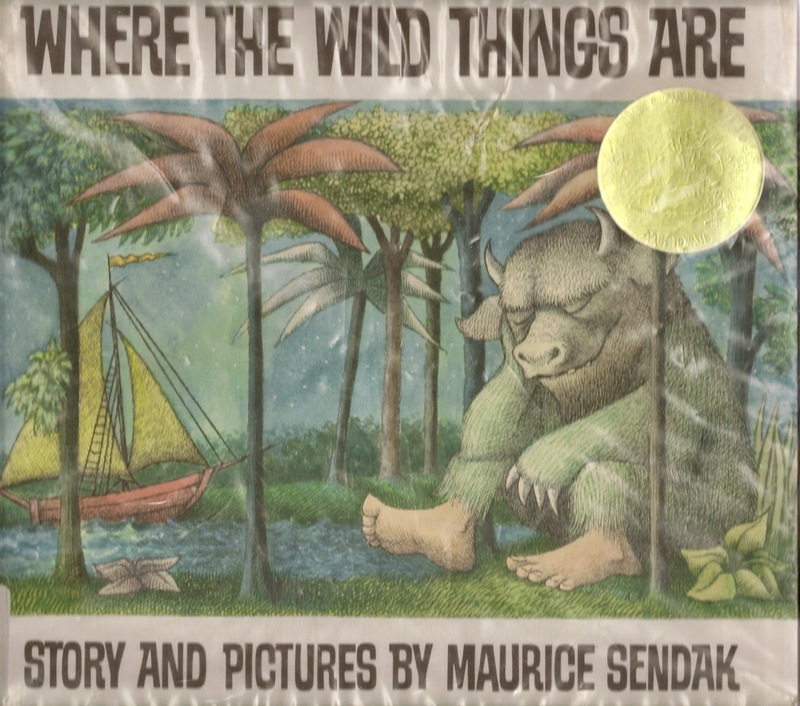 > Where the Wild Things Are, by Maurice Sendak, tells of a little boy who acts up and is sent to his room from which his imagination takes him to romp in the land of the Wild Things, who make him their king. 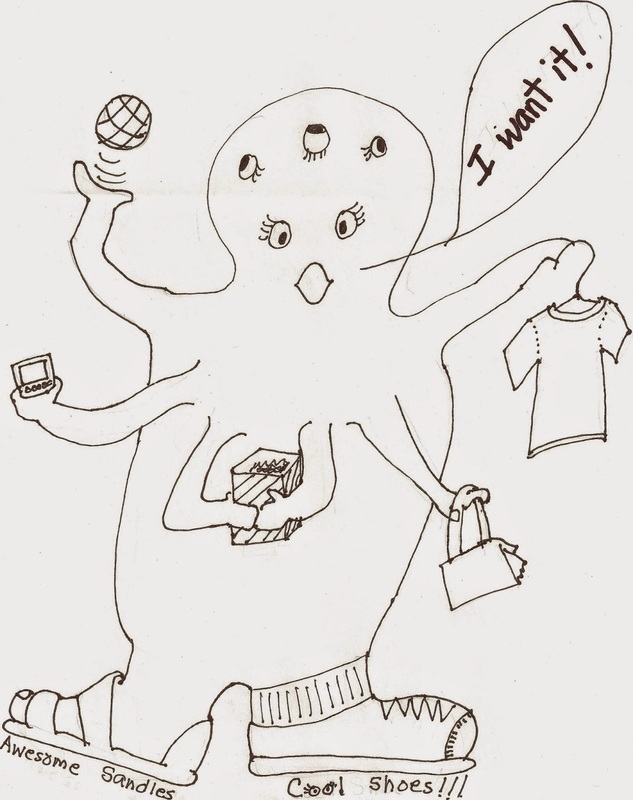 It is fun for a while, but then he decides to go home where he is known and loved. The Wild Things try to persuade him to stay, but he goes back to his room and finds his supper laid out for him “and it is still warm.” If you begin by identifying the demons as evil urges, reading this book could capture the sense of healing and coming home that is possible when we walk away from our demons. This is a stretch for most children. The youngest will simply enjoy hearing a well-known children’s story read to the whole congregation. For this reason I would be more likely to incorporate it in the real sermon than read it during a children’s time. > Respond to Mark’s story of Jesus’ power in the spirit of Psalm 111 by singing “Come Christians Join to Sing” which praises Christ in simple vocabulary and lots of “Alleluias” for non-readers. Before singing, point out either the short phrases urging singers to pay attention to them or the repeated alleluias which will disappear when Lent starts. > The 2012 post on this text yielded a thread on Comments about teaching children to pray against their nightmares binding them to Jesus. I do not support that practice, but direct you to the conversation (Click Here) should you be interested. I was most taken with the YouTube video demonstrating signing Psalm 4:8 and suggesting that it be used to help a child confront nightmares.